This language arts poster is one of a set of 12 posters that explain the different forms of poetry. 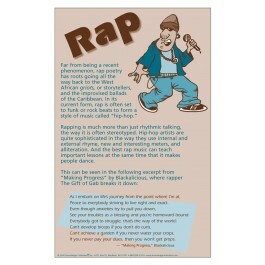 This poster about "rap," uses a whimsical illustration and provides a text explanation of the form along with background information about its origins. 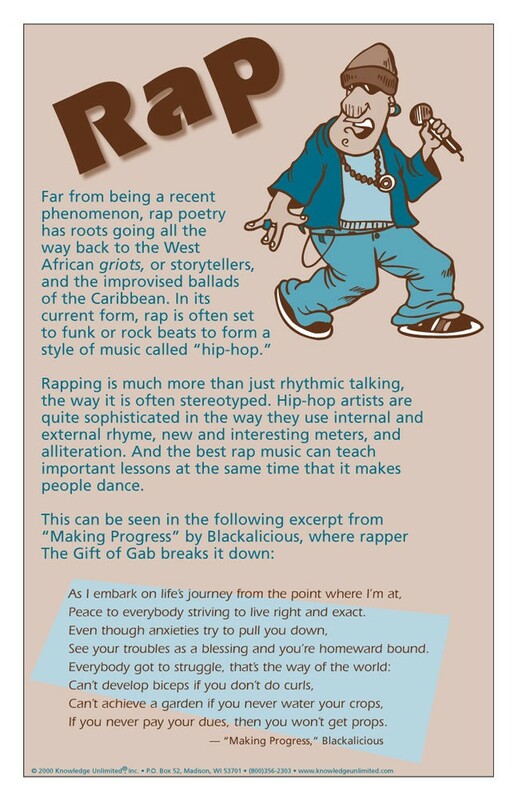 It also features an example of the form, in this case an excerpt from "Making Progress" by Blackalicious.